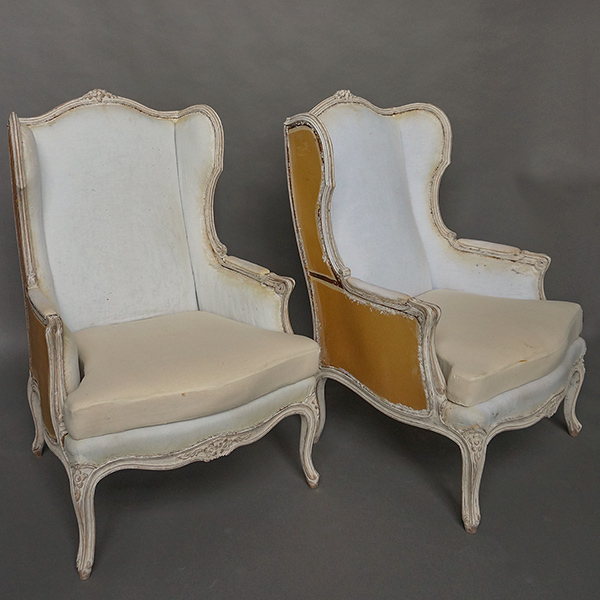 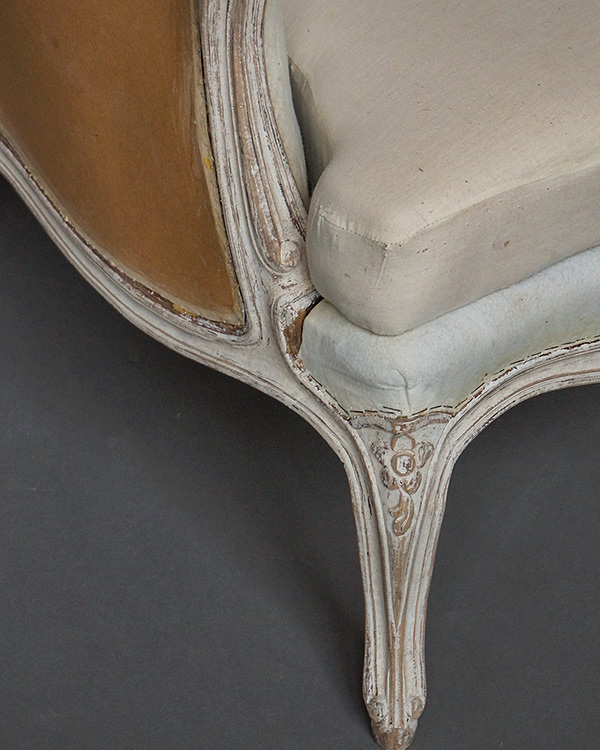 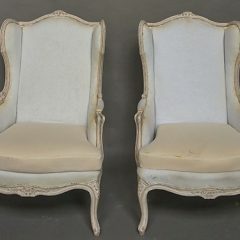 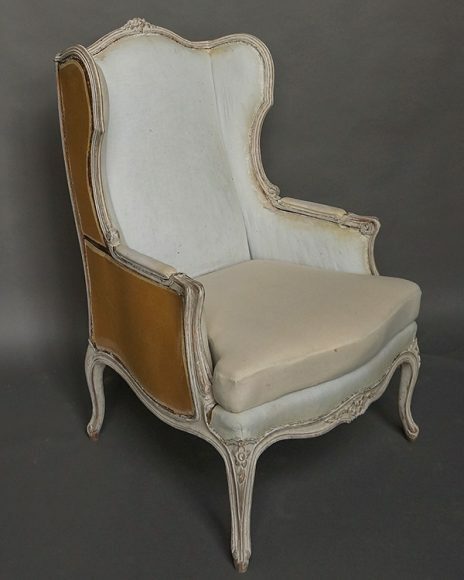 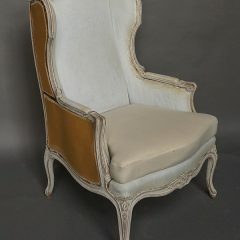 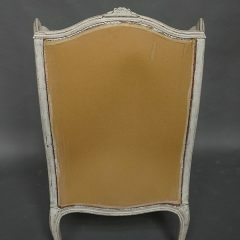 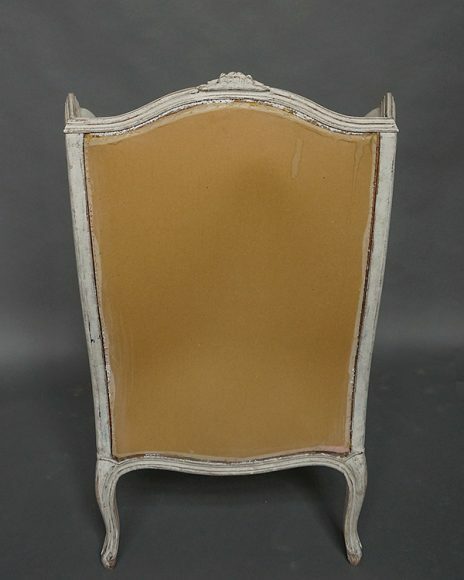 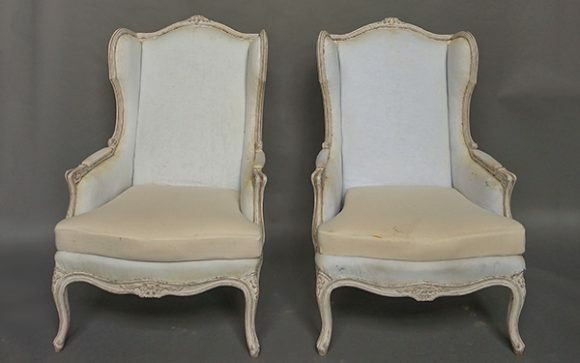 Pair of roomy wing-back chairs, Sweden circa 1910, in the Gustavian style. 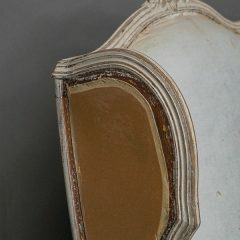 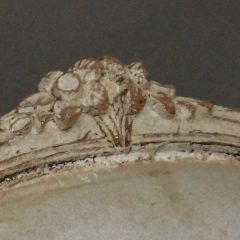 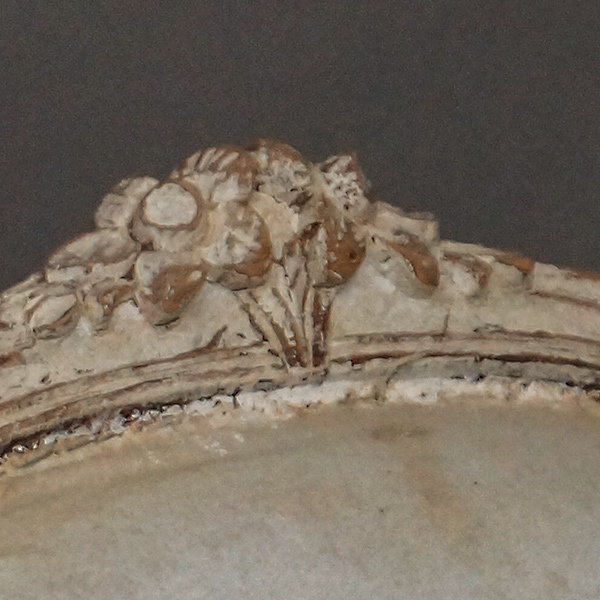 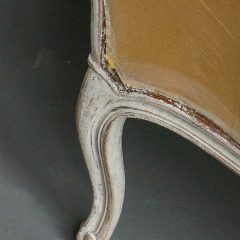 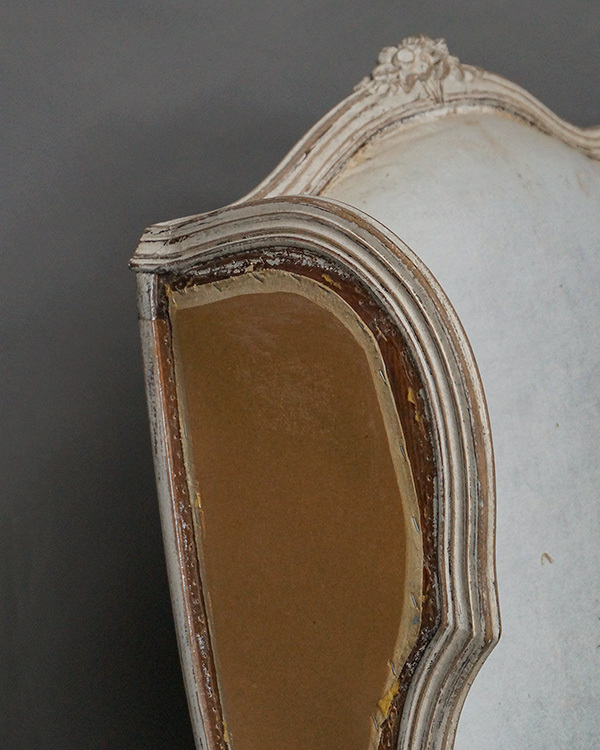 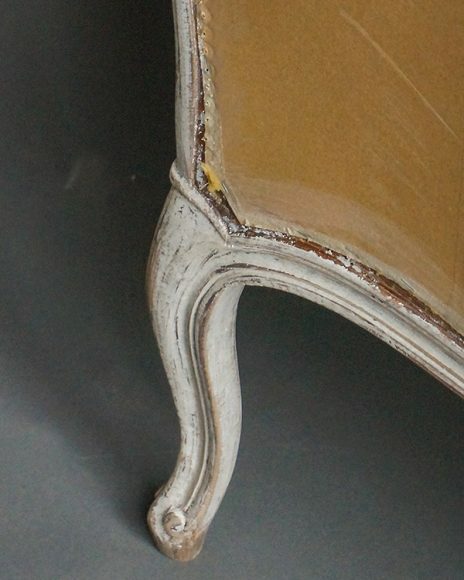 The exposed wooden frame is carved with roses at the top, on the apron, and on the “knees” of the cabriole legs. 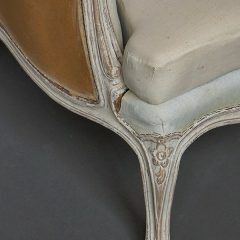 Very Swedish indeed.